Jourdan Dunn. She's featured in Italian, British, French and Russian Vogue (to name a few), fronted campaigns for the likes of Balmain and Calvin Klein, and walked for design houses including Marc Jacobs and Versace. On top of that, she's a spokeswoman, entrepreneur and mother. As if Jourdan wasn't impressive enough, she can now add designer to her resume. 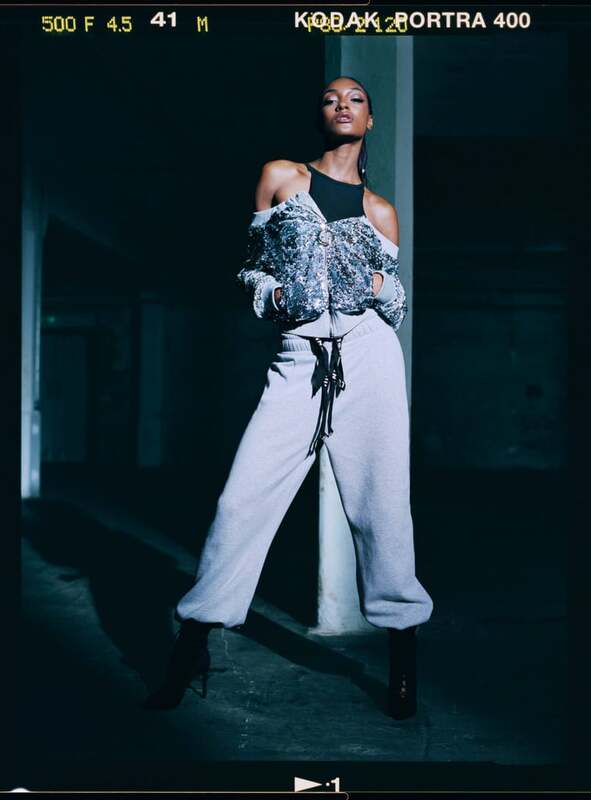 The British-born model has collaborated with UK label Missguided to create a 96-piece collection titled "LonDunn". Although the offering speaks to the athleisure movement, it's not your average streetwear by any means. Every item is a statement piece in itself and will have people thinking "Where did she get that?" In celebration of this epic collab, which is now available to shop, we asked Jourdan all things style, modelling and life as a mum. Scroll!